We discuss philosophical and metamathematical origins of rough sets and their fundamental properties. 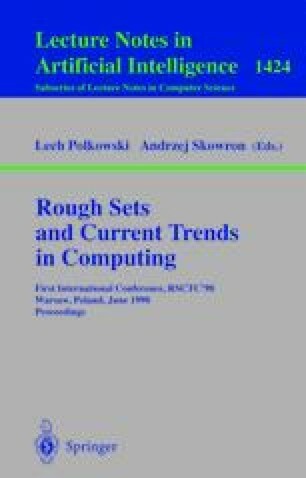 We argue that rough sets are necessary in the light of the Platonian concept of ideal mathematical objects. We show how rough sets have been present in concept formation, diagnosis, classification and other reasoning tasks. We present examples indicating that the intuitive idea of a rough set has been used (under various names) by physicians, engineers and philosophers as a basic tool to classify and utilize concepts in their respective domains of activity. We discuss the differences between rough sets and other approaches to incomplete and imprecise information such as fuzzy logic and logics that formalize the process of “jumping to conclusions”.